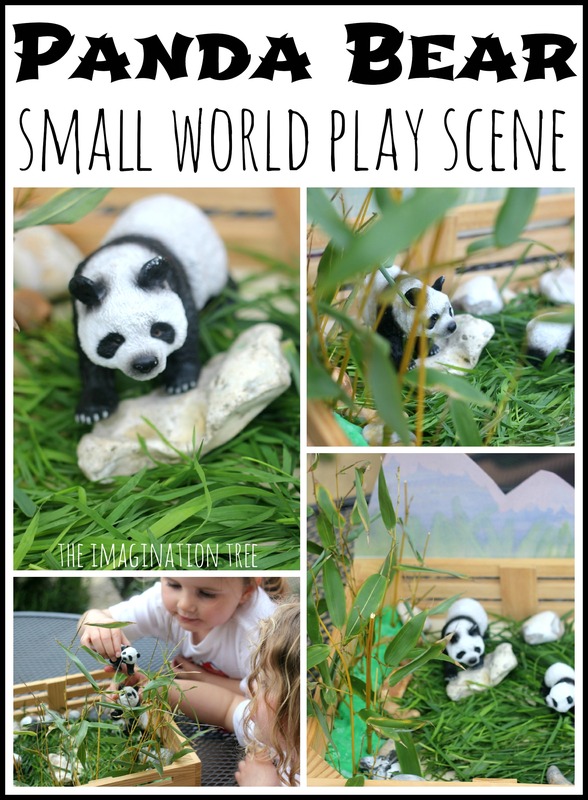 Make a panda bear small world play scene for imaginative play, understanding animal habitats and story telling with kids! Perfect for a knowledge and understanding set up in the classroom or a portable table top activity at home, and plenty of hours of engaged, playful fun. 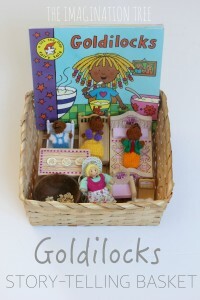 We recently acquired some new, gorgeous small world play animal mother and baby sets to add to our growing collection. The panda bears have appealed to the girls the most and we have found a lovely story and information book called Tracks of a Panda and used it to learn a lot more about their habitats and way that they live. 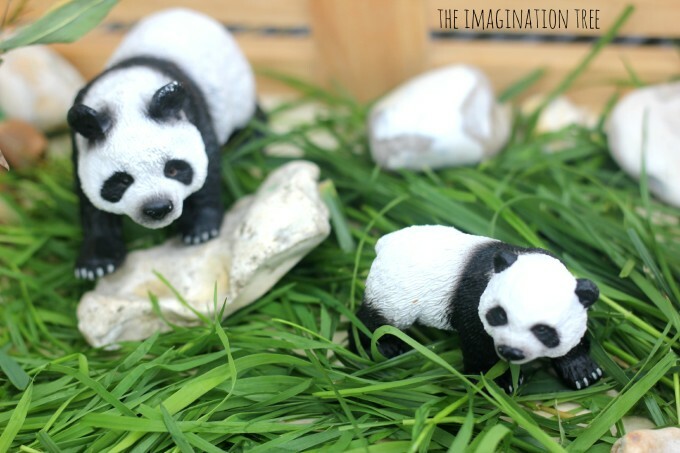 We discovered that pandas are mainly from China and live high up in lush, green mountainous regions, feasting on bamboo plants as their main sustenance. Using the information that we learned, we set up a little small world habitat for them to live in. 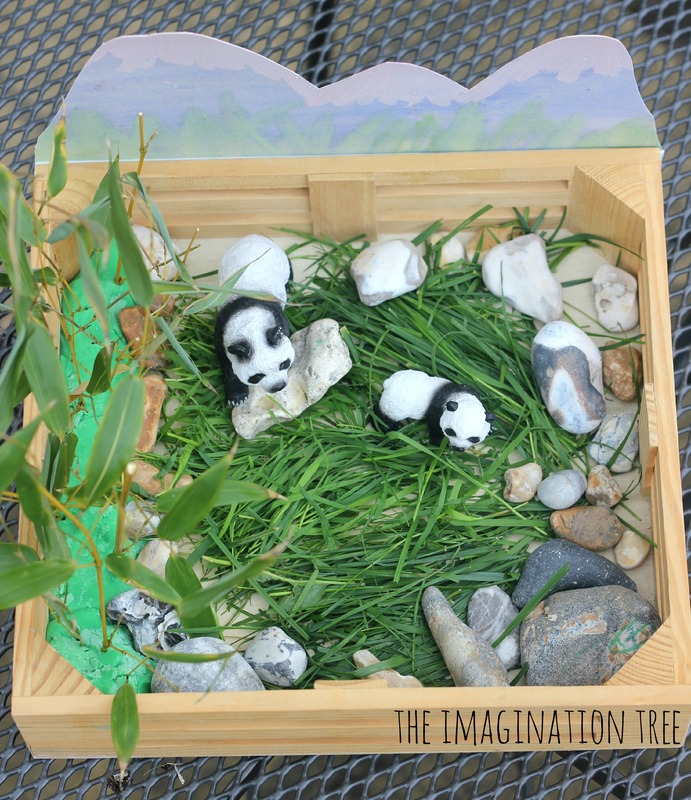 We picked handfuls of grass from our over-grown lawn and used that as a base for the box. 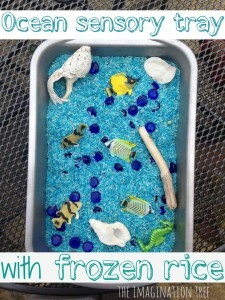 Then they added small pebbles around the outside and a little backdrop of mountains that I cut from a cereal box and we painted with purples and whites to make them look distant and misty! We used some of the recent mint choc chip play dough to make a base along one side of the box, and into that they stuck lots of snipped stems of real bamboo plant (thankfully my dad has an enormous one growing in his garden!) 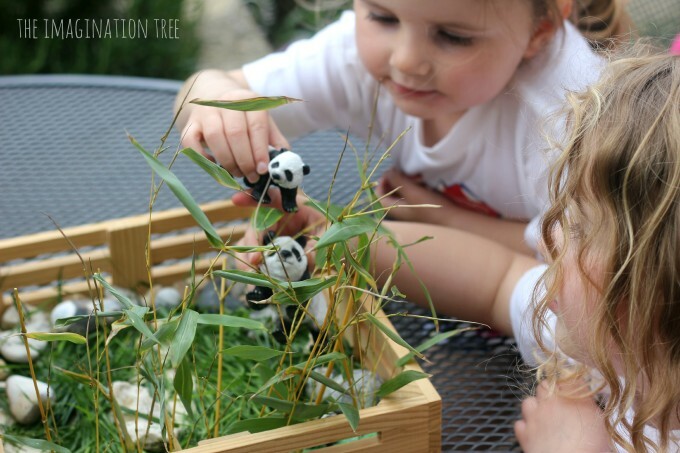 We talked again about how this is a panda bear’s main diet, and they spent lots of their playtime making the pandas climb through the bamboo and munch on it! Because the small world set up is in a little tray, it has been great for taking outdoors on sunny days and playing with on the grass, and back inside again for table-top play on other occasions. With no dedicated play room in our house these types of portable play are so helpful, and also mean that we can leave them out for longer than we otherwise would have ben able to. 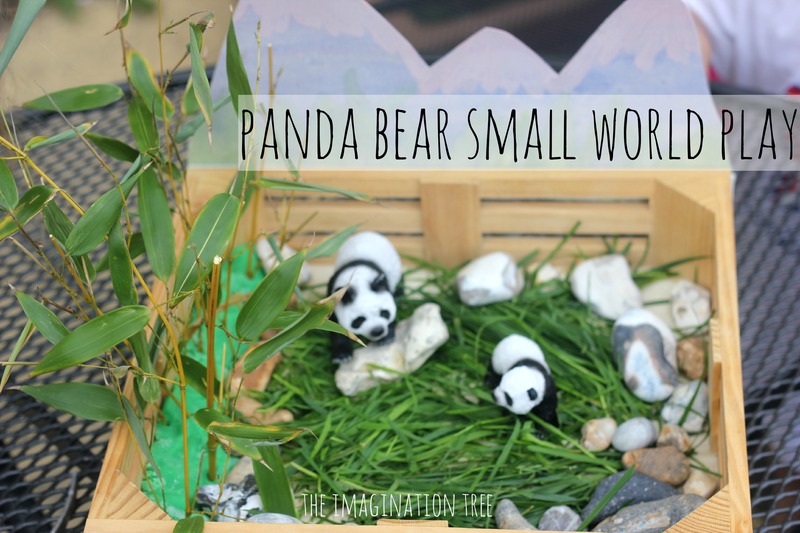 The next steps for this small world set up are to make some little information books about pandas together, or to create some panda story telling props or masks to turn it into dramatic play. Following your child’ lead and interests is the key here! 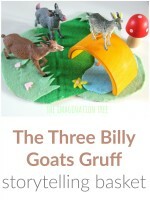 Love small world play scenes? 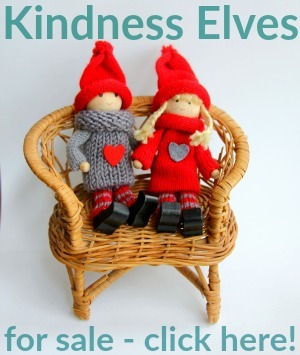 Check out dozens of other ideas to inspire you here! I love that you added the playdough to help the bamboo stand up. When we made our small world we just wedged the branches in, but that would have been a big help. 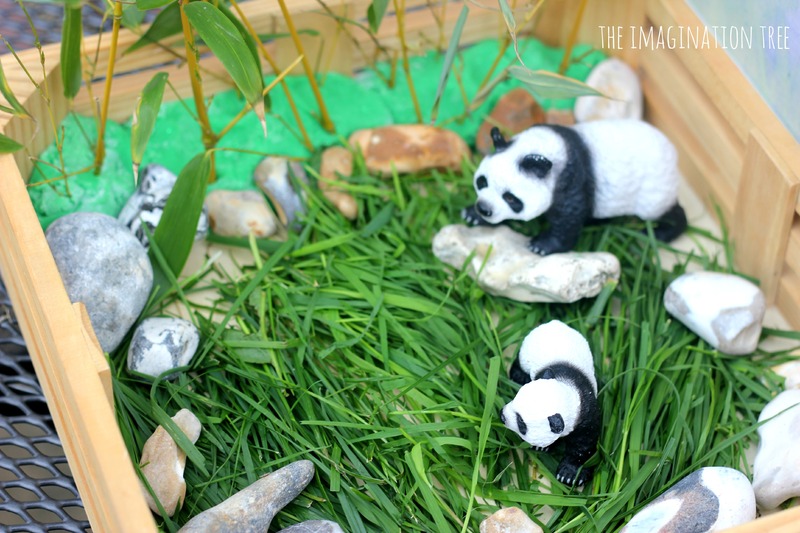 The girls really learned a lot and included a lot of the information we discovered as they engaged in pretend play with our panda bin. Your ideas for extending the learning beyond this bin are great, too…my oldest would have loved to make an informational book. Thanks for sharing…always love your ideas! 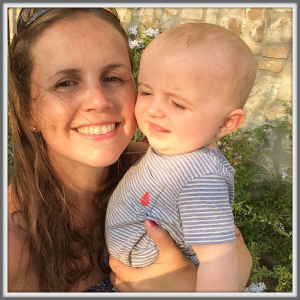 I’ve just popped over to see yours and it looks gorgeous Shaunna! I LOVE the black beans you used to make a sensory element to the bin. I will grab a link to yours and add it here for others to find too! Thanks, Anna! You certainly don’t have to include a link, but you’re thoughtful to do so. I always love to see how people approach similar ideas. Looking forward to any follow up posts you do, so I can pin them for our next Asia unit study! 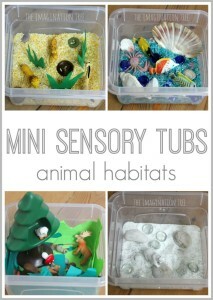 Love love love this idea, can’t wait to create my own small world scenes incorporating natural products, great idea. What a beautiful small world. 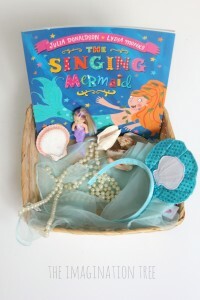 I love that it’s contained in a small box so it can be easily moved inside or out. You always do such a wonderful job with adding natural elements to your projects and activities. Very inspiring. Love this! My 7 year old and 3 year old absolutely love small world play. Thank you for this inspirational activity. I will be adding this one to the list of “to do”.